Finally he advocates a no-fly zone in a limited part of Syria to curb Assad’s chlorine attacks. I strongly disagree with the proposal to limit the area to just part of the country. Hamish de Bretton-Gordon’s reasoning is that a nationwide no-fly would bring those enforcing it “into conflict with Syria and Iran who are also fighting IS with jets” and that limiting the area might make it more palatable to Russia. When Assad’s air force bombed the ISIS-held city of Raqqa last year, the targets were not ISIS buildings, and the vast majority of victims were civilians, according to Amnesty’s detailed report on the attacks. Those few ISIS members who were killed were in civilian clothes, not identifiable as ISIS by sight, and therefore likely to have just been in the wrong place at the wrong time as Assad’s aircraft went about their usual practice of targeting the civilian population. Allowing Assad to continue to bomb ISIS-held areas would cost more civilian lives; it not help the campaign against ISIS in any great way, but would likely further discredit that campaign in the eyes of the population. 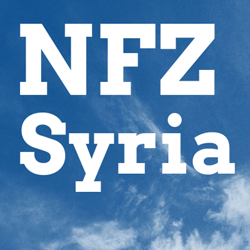 The Avaaz Safe zone for Syrians, now! petition which I posted on last month has since passed a million signatures. The scale of the response is wonderful, but this also proposes a geographically limited air exclusion zone in the north of Syria. A geographically limited no-fly zone would displace bombing, not necessarily reduce it. The limited zone would risk encouraging the regime to focus on forced clearing of resisting populations from areas beyond the zone, with a view to partitioning Syria and entrenching a geographically reduced Assad state. Proponents of a geographically-limited No-Fly Zone need to remember the events of 1991 in Iraq when a limited no-fly zone in the north of that country protected one part of the population while leaving Saddam free to slaughter another. The numbers given for the dead in that horror range from 50,000 to hundreds of thousands. It was over a year later when a second no-fly zone was imposed in Iraq’s south—far too late. We should not promote the same mistake in Syria. A no-fly zone must be Syria-wide. In London, we will assemble at 1pm at Marble Arch, before marching to the US Embassy, and then on to the BBC via Oxford Street. The Assad regime remains the greatest threat to civilians in Syria. Despite multiple UN Security Council resolutions, barrel bombs filled with explosives, and sometimes chlorine gas, are still being used by the regime to terrorise, maim, and kill. We come together to ask for a No-Fly Zone for Syria. Only a No-Fly Zone can help turn the tide in this humanitarian tragedy. We also gather to condemn the lack of coverage in the mass media of the horrific chemical attacks in Sarmin, Binnesh and Idlib. The media must be the voice of our collective humanity. Amongst those calling for a No-Fly Zone are Syria Civil Defence, also known as The White Helmets. They have been joined by a coalition of non-violent activists united in the Planet Syria campaign who are calling for an end to barrel bombing, if necessary by means of a No-Fly Zone, as an essential requirement to enable meaningful peace talks.